I cannot believe little Declan is already 1. 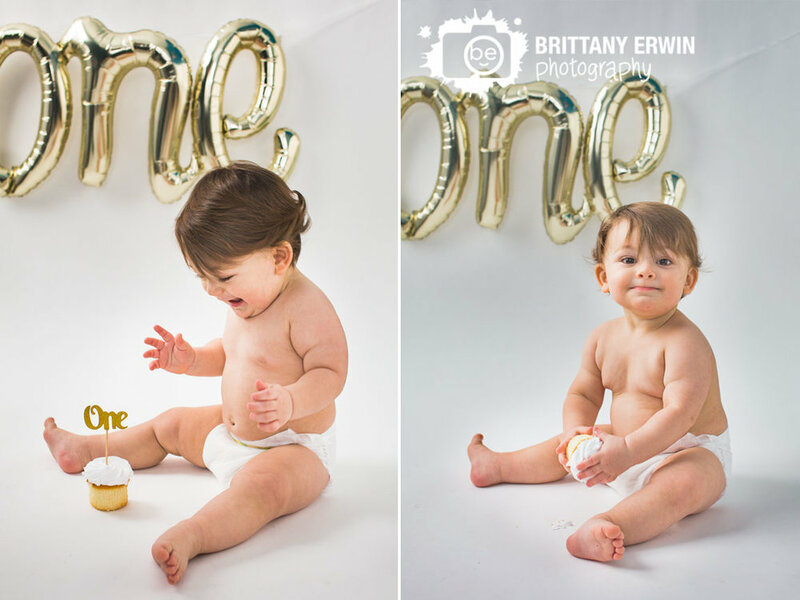 It seems like only a month ago I was sharing his newborn session! 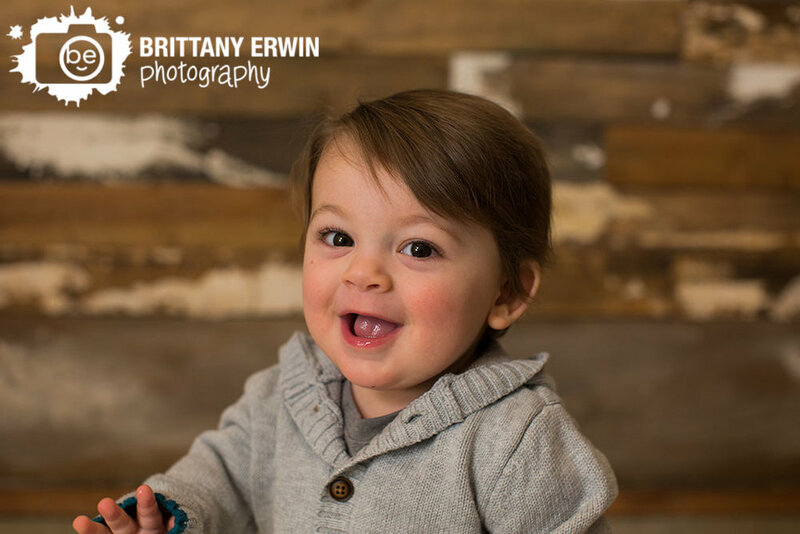 Declan is such an awesome little boy full of silly faces, smiles and lots of wiggles. 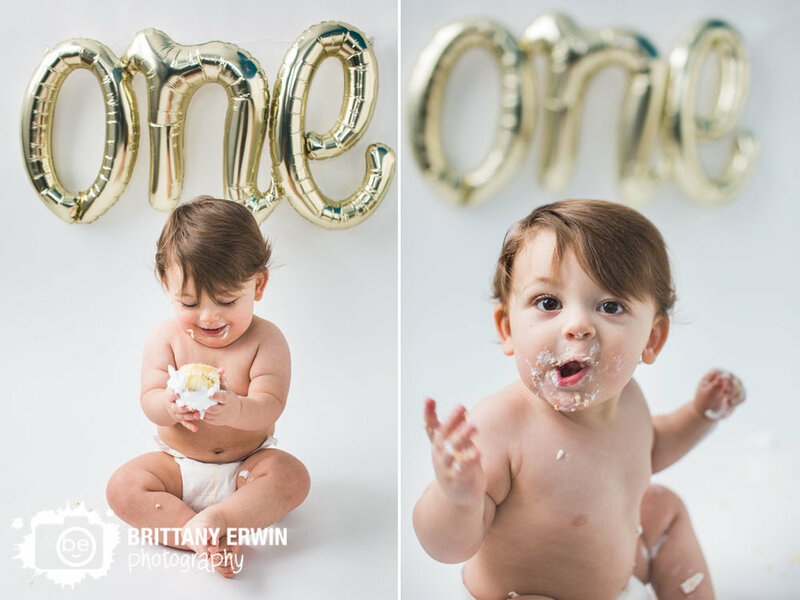 I had so much fun with him and his wonderful parents for his first birthday portraits and cake smash. The studio was a little grumpy with the negative temperatures we had been having so I am very glad to report that it warmed up enough to do a few photos out there with the beloved wood wall before we played in the snow then headed into the office/makeshift studio(with some of my favorite light) for his cake smash. Declan was ALL about that cake and ate almost the whole cupcake - it was awesome. Happy birthday little guy!